Crowdcube approves every pitch on the platform to ensure it is fair, clear and not misleading. Our Due Diligence Charter outlines the analysis and verification that is conducted on equity fundraises on Crowdcube. Investor protection and transparency are of the utmost importance to us, so we continually review our existing due diligence processes to ensure we remain at the forefront of the investment crowdfunding market. This Charter outlines Crowdcube’s current standard due diligence process. Due to the diversity of businesses that raise finance on Crowdcube’s platform, we cannot cover all situations in this Charter, which should be read as guidance. Crowdcube does not endorse any of the businesses raising finance on the platform, nor do we provide investment advice of any description, so before deciding to invest we strongly encourage all Crowdcube members to undertake their own research and if there is uncertainty, to receive independent advice before investing. understand that forward-looking statements and entrepreneur opinions may not turn out to be correct and many early-stage companies fail. Investors should be aware that Crowdcube relies upon information provided by every applicant company and its directors who are required to ensure all information provided is true and accurate. Crowdcube also relies on third-party tools to conduct some due diligence. 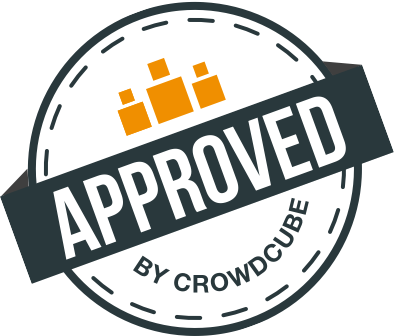 Crowdcube’s investor terms and conditions, including Crowdcube’s limitation of liability, apply to investments made on the site and can be found here. Where we list companies in partnership with our US partner platform, we rely on the checks and due diligence they undertake. US companies are therefore not subject to our Due Diligence Charter. Crowdcube’s Due Diligence Charter was last updated in July 2017. Previous versions of the Charter can be found here. verify any material professional accreditations. if applicable, check whether the company has received SEIS or EIS Advance Assurance and make clear to potential investors the availability of such tax relief. that the company is not party to any current litigation and that it is not aware of any threatened litigation. review any investment patterns notified by Crowdcube’s pitch manipulation tool to ensure investments are genuine and not made to unduly enhance the performance of a pitch. review any of the restricted documents, pitch videos, pitch updates, forum discussions or the content of investor events that aren’t organised by Crowdcube. a full search and review of intellectual property rights are not carried out but claims of trademark, patent, or URL ownership in pitch text are checked by seeking verification from the company and searching public registers. We also require the transfer of ownership to the company if Crowdcube becomes aware that any material intellectual property rights are not wholly owned by the company. Any necessary disclosures from the post-funding legal due diligence process are set out in the Legal Review document, which will be emailed to investors at the beginning of the seven days cooling off period. key suppliers or customers of the company. Whilst we do provide guidance on valuations, it is the company’s decision to price their investment offer and ultimately the crowd then decides if they are willing to invest at that price. Under Crowdcube’s Terms and Conditions, every applicant company, acting by its directors, must ensure that all information which is provided to Crowdcube is true and accurate.